All Marathon, Half Marathon, 10K, and 8K finishers will receive one of these beautiful medals. The Marathon Medal is displayed to the right, all medals are here. A separate awards ceremony will be held for each race. Awards will be presented to male and female athletes participating in the Marathon, Half Marathon, 10K, and 8K races. The top three finishers in each age group will receive awards. Results will be posted as soon as possible after the completion of each race. If you win an award, make every attempt to pick it up before leaving. 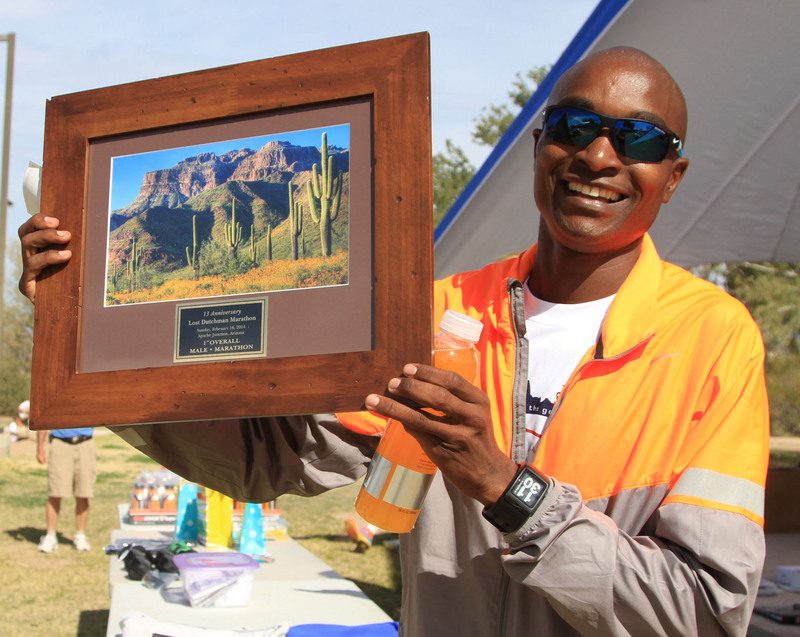 There will be a $500 prize for the individual male and female runners who establish new LDM marathon open course records. The open and master course records will be determined by gun time. Total prize money for the Marathon open records is $1000. There will also be a $250 prize for the individual masters male and female runners who establish a masters LDM marathon course record. Total prize money for masters course records is $500. In the event the course record is set by a masters competitor, the prize money will be combined. 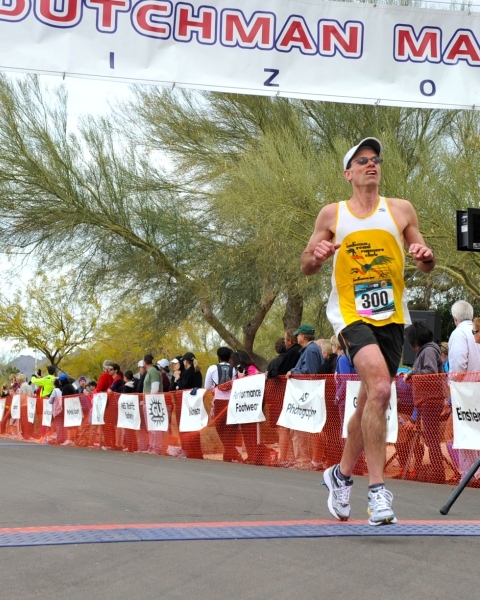 On Sunday at the awards table: fill out a mailing label attached to a $10 check (for shipping and handling) payable to Lost Dutchman Marathon Inc. 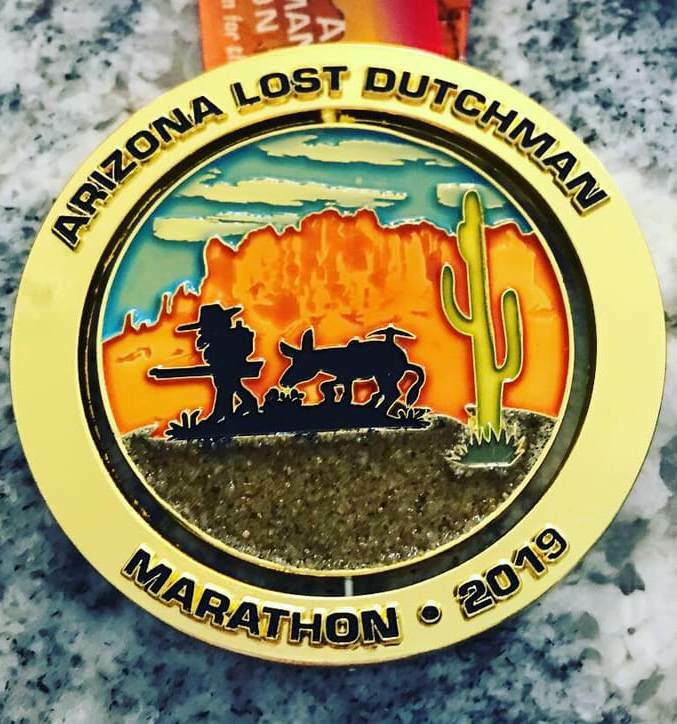 Send a $10 check (for shipping and handling) payable to Lost Dutchman Marathon Inc. along with your mailing information to Attn: Riley King, City of AJ Parks & Recreation Department, 300 E. Superstition Blvd., Apache Junction, Az. 85119. Requests must be received by Friday, March 8th. Pick up your award in person at the Apache Junction Multi-Generational Center beginning on Monday, February 18, 2019th from 8am-2pm or any time thru Friday, March 8th (Monday-Friday 5:30am-9pm/Saturday-7am-3pm). Any awards not claimed by Friday, March 8th will be donated to one of our charities.